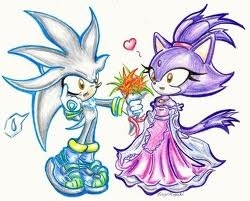 Silver & Blaze. Just a few of my fave silver & blaze pics hope you like them :D . Wallpaper and background images in the Silver the Hedgehog club tagged: cute super cute silver blaze.